You’re expecting a bub. The nursery is ready, baby capsule installed and the pram is waiting for that first trip outside. But the other important thing to have ready before baby’s arrival is your hospital bag. Teeny-tiny unisex white onesies, knot hats, bunny rugs and and ribbed singlets filled my baby bag before my daughter arrived, each item delicately hand-washed. But what if you lived elsewhere in the world? How would your bag be different? Take a peek. You due date draws near, so what do you put in your maternity bag? That’s the question mums from all corners of the globe were asked. 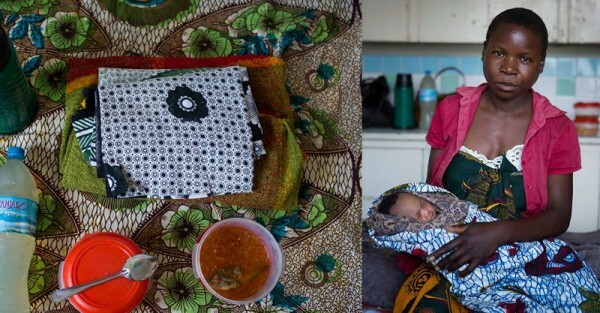 And, while there are many similarities with what mums will take with them as they prepare for birth, the photos reveal the stark difference it makes knowing you’ll have to give birth without clean water. Every minute a newborn baby dies from infection caused by a lack of safe water and an unclean environment, according to Water Aid. So the photos were captured as part of its Deliver Life appeal – which is trying to raise enough money to deliver safe water to 130,000 mums worldwide. The project is on track to raise more than 5 million pounds ($10,000,000) through donations. 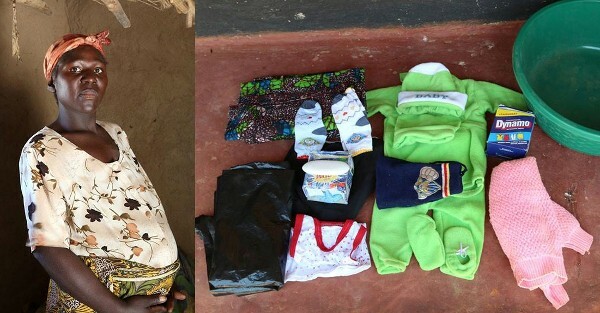 Along with fresh underwear, a loose dress and a cotton throw, Se’ada’s maternity bag contains fabric she can use as a nappy and a towel she can hold her new baby in. It’s her first baby and she admits she’s a little scared. Without safe water, midwives struggle to wash their hands between deliveries and battle to keep wards, medical instruments and bedding clean. With no safe water at the clinic where she’ll be giving birth in Monze district, mum-to-be Hazel has packed a basin to wash with. She’s also brought black plastic to lay on during her delivery, a barrier between her and unclean sheets. “We have a borehole at the clinic but there’s no running water in the maternity ward,” Hazel says. Deanna is hoping to give birth naturally, so her maternity bag is full of items to help her deal with the pain – including a music player, coconut and lavender oils and Arnica Gel. Zaituni arrived at Kiomboi hospital on a motorcycle her husband rented especially. She was carrying a basin, a bucket and some clothes for herself to wear. “The baby has no clothes. We are just wrapping her with cloths. When they are dirty, my sister washes them. The water is not safe. It looks milky,” says Zaituni. After a complicated delivery, Zaituni developed sepsis, a potentially deadly infection that can be caused by unclean water. Antibiotics and a drug infusion helped her recover. 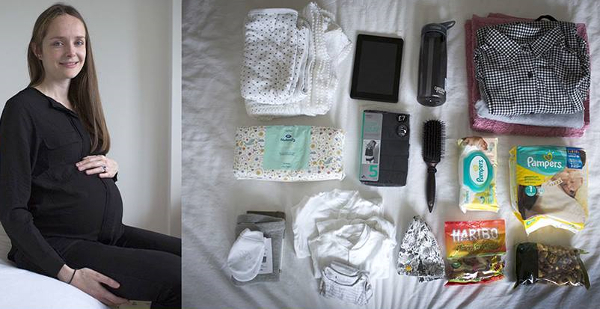 In the UK, Joanna (top) says her maternity bag is like a welcome gift, giving her baby the best start.